Subject: Recruitment to the following Posts in Engineering Department of the Institute on DIRECT RECRUITMENT BASIS. Online applications are invited for the following Posts in Engineering Department of the Institute on DIRECT RECRUITMENT BASIS in All India Institute of Medical Sciences, Jodhpur (Rajasthan) – 342005 on the terms and conditions as mentioned in annexure ‘A’. 1. *The number of Post(s) is tentative and liable to change, based on the Institute’s requirements. Graduate in Civil Engineering from a recognized University / Institute with 5 years' experience in design and engineering of civil projects, preferably in Hospital Environment. Graduate in Civil Engineering from a recognized University / Institute. Desirable:- 2 years' experience in experience in design and engineering of civil projects, preferably in hospital environment. years' experience in design and engineering of civil projects, preferably in a Hospital Environment. 1. The posts carry usual allowances as admissible to Central Government Employees of similar status stationed at Jodhpur, Rajasthan. 2. The aspiring applicants satisfying the eligibility criteria in all respect can submit their application only through ON-LINE mode. The On-line registration of application is made available on AIIMS, Jodhpur official website i.e. 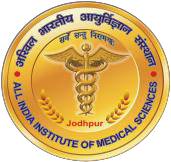 http://www.aiimsjodhpur.edu.in. The link for submission of online applications in respect of above said posts along-with other relevant information will be activated on the date of advertisement on Employment News/ Rojgar Samachar. The last date of online submission of applications will be Thirty Days (30 Days) from the date of publication of advertisement in Employment News/ Rojgar Samachar. No Documents including online application form is required to be sent, however, all the applicants are advised to keep a copy of online application form with them, along with proof of payment (a Copy of challan /online payment receipt) for their record. 3. The applicants applying in response to this advertisement should satisfy themselves regarding their eligibility for the post applied for. They must be fulfilling eligibility criteria as on the closing date of applications failing which their application will be rejected. 4. The On-line application will be closed on Thirteenth Days (30 Days) from the date of publication of advertisement in Employment News/ Rojgar Samachar. The candidature of such applicants who fails to complete the online application submission by the stipulated date and time will not be considered and no correspondence in this regard will be entertained. 5. In case a candidate wishes to apply for more than one post, he/she is required to fill in the form separately through On-line mode only. 6. The Candidate must ensure that their photo and signature should be clearly visible in preview at the time of filling of application in online mode. If photo/signature image is displayed small or not visible in preview on website, that means photo/signature is not as per the AIIMS, Jodhpur prescribed and in that case, your application will be rejected. So, be careful while uploading your photo and signature. Both must be visible clearly on Online Application form. 7. APPLICATION FEES: Rs. 500/- (Rupees Five Hundred Only). 1) The candidate pay prescribed application fees Online Mode Only through DEBIT CARD/ CREDIT CARD/ Internet Banking Only. Transaction/ Processing fee, if any, as applicable will be payable to the bank by the candidate. S. No. Category Age Relaxation permissible beyond the Upper age limit. (i) Probation period: The period of probation is two years. (ii) The post(s) is/are whole time and private practice of any kind is prohibited. (iii) The Candidate will have to work in shifts and can be posted at any place in the Institute. (iv) The Candidate are likely to be posted at rural health and urban center attached with the institute for the period to be decided by the Institute as applicable. (v) AIIMS reserves the rights to increase or decrease the number of vacancies. (vi) Canvassing of any kind will be a disqualification. (vii) The candidate should not have been convicted by any Court of Law. (viii) In case any information given or declaration by the candidate is found to be false or if the candidate has willfully suppressed any material information relevant to this appointment, he/she will be liable to be removed from the service and any action taken as deemed fit by the appointing authority. (ix) The Competent Authority reserves the right of any amendment, cancellation and changes to this advertisement as a whole or in part without assigning any reason or giving notice. (x) The decision of the competent authority regarding conduct of examination, interview, verification of documents and selection would be final and binding on all candidates. No representation correspondence will be entertained in this regard. (xi) All disputes will be subject to jurisdiction of Court of Law at JODHPUR.